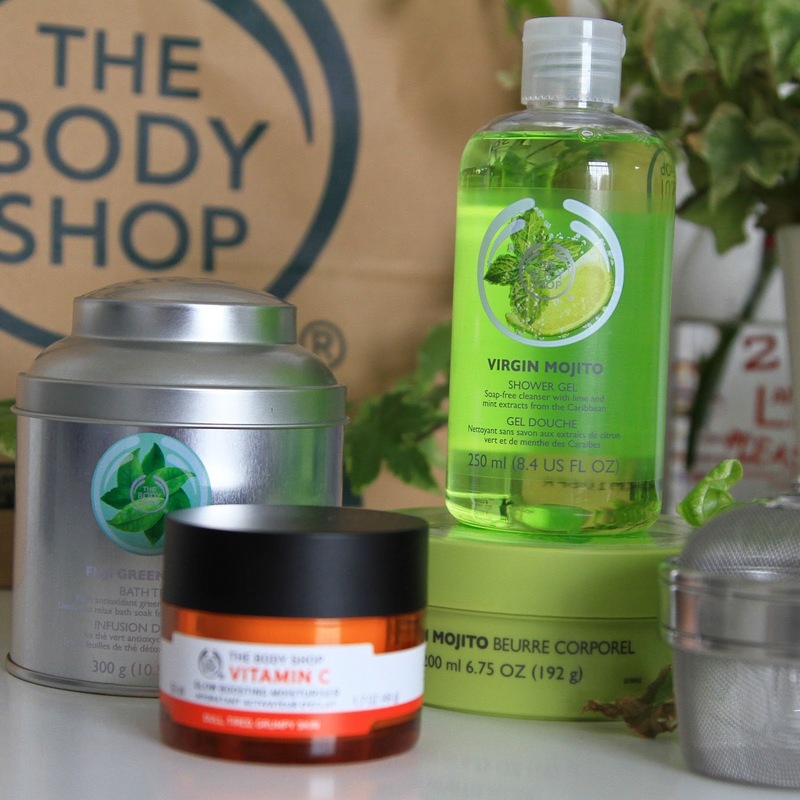 When I contacted my friend Kate at The Body Shop, I could’nt believe my eyes when I walked in and she had so much new stuff to show me. Literally where have I been?! Brand new ranges and scents never mind products. I am definitely behind the time. She introduced me to their NEW Virgin Mojito Range and Fuji Green Tea Range and I was blown away by some of the ingenious products they have to buy. The Vitamin C range also has some new additions, my favourite being the Glow Boosting Moisturiser. 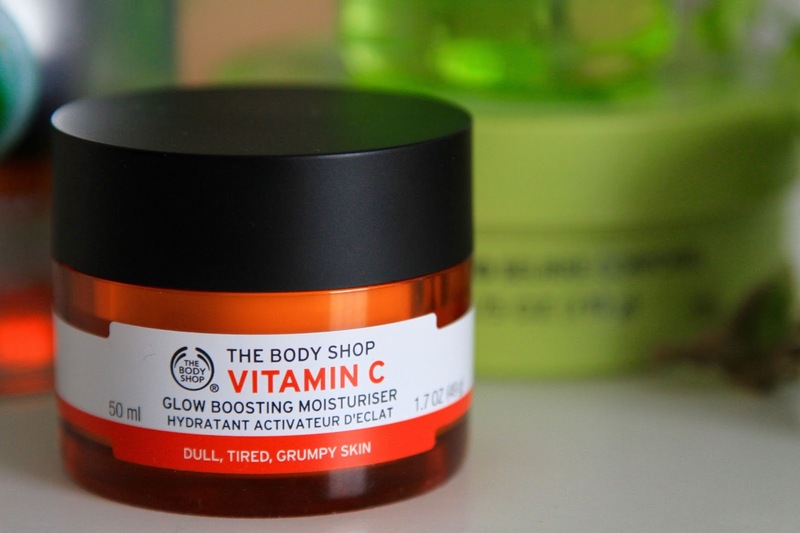 So to start off, the Vitamin C Moisturiser is a product I have been lusting over since I first tried it. It’s very similar to the Origins Ginzing in terms of what it actually does, however it has a much softer texture and sinks into the skin a hell of a lot better. Enriched with hydrating goodness, it reduces the appreance of dull skin, brightening and making you look much more alive! It’s a mixture between a gel and cream texture and instantly refreshes with it’s cool application. This is perfect to be applied on at the beginning of the day to stop that tired Monday morning mood (check out that alliteration), and keep you looking rejuvenated throughout the day. 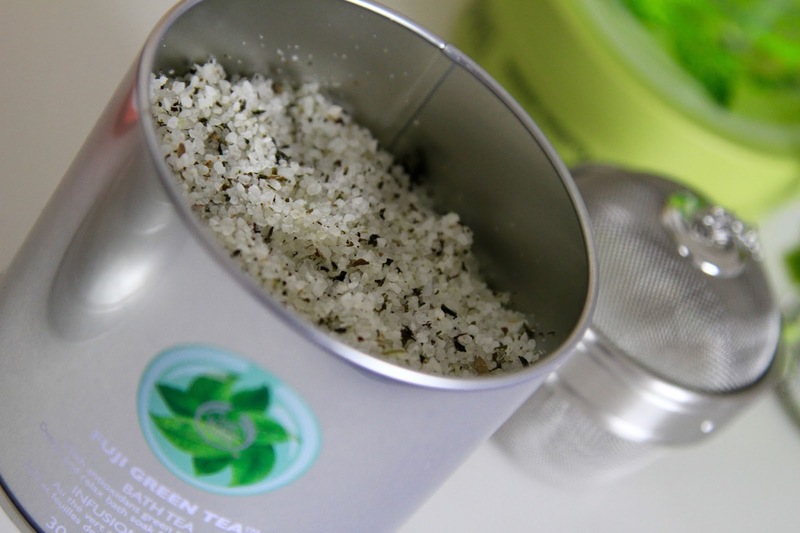 Next is the Fuji Green Tea range, I tried out their Bath Tea which is kind of like a loose bath salt enriched with detoxing properties helping to indulge and calm your skin in the bath. You get a little strainer to put the salts in then just let it do its magic floating in your bath. It’s a really cool and fun product to use which just adds to that Sunday night pamper routine. The smell is absolutely gorgeous too, and leaves your skin smelling fresh and feeling healthy and enriched. Get your candles out and have a night in with this little treat! Finally I got my hands onto two products from the latest Virgin Mojito Collection. I love a good Body Shop Shower Gel and Body Butter. I think these are the first type of product I ever bought from there and theres nothing yet that has replaced them. I think I’ve tried almost every scent and smell, and theres not one I’m sick of. Now the Virgin Mojito range is one of those ‘you won’t know unless you try’ products because I can tell you now, hand on heart… this smells like heaven. Body Shop you have done good because there is no explanation for how beautiful this range smells. The only thing I can relate to is the smell of a drumstick lolly. Yeah I know… strange. But amazing. Get yourself down to your local Body Shop and get sniffing! If you’re not a fan of the body butters, there’s still plenty to choose from as they have their usual shower gel, sorbet, scrub and body splash. I love it when The Body Shop launches products like these and as I said before, they never fail to impress. This summer selection is perfect for you guys who are going on holiday or even enjoy sitting at home in the sun. Have you tried any of these product? Which one is your favourite?